A Filipino cleaner has been accused of taking away cash from a saleswoman’s purse at an office he was cleaning while she went out. The victim, a 41-year-old Slovenian woman was said to have left her purse at her desk a she went to make herself some tea sometime in March. At the time, the 32-year-old Filipino cleaner was dusting the office. According to Gulf News, court records say the saleswoman was out 20 minutes before returning to her desk and spotted the Filipino cleaning her laptop before she left to the washroom for ten more minutes. Upon her return, the woman realized her wallet went missing as she opened her handbag to get some money to buy herself lunch. The victim immediately asked the cleaner over the phone if he had taken her wallet, which he denied. The Slovenian woman’s wallet was then found empty and thrown at a place close to her office building. Police later arrested the Filipino cleaner and referred him to the Public Prosecution and the charge sheet records showed he stole AED6,800 from the woman’s wallet along with a Nol electronic ticketing card. 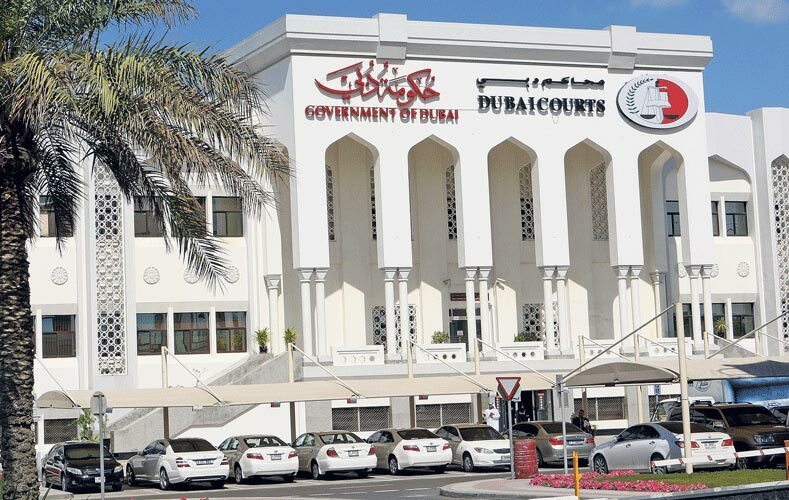 Appearing before the Dubai Court of First Instance, the defendant entered guilty plea to the charges filed against him. “Yes I stole her wallet and took the money … I did not give her back the money. I am seeking mercy,” the suspect told presiding judge Fahd Al Shamsi. The Slovenian saleswoman also testified to prosecutors that she discovered her wallet was missing once she returned to her desk. “I went back to my desk and when I opened my bag to get money to buy lunch, I realised that the money had gone. When I first returned from the canteen and before I went to the bathroom, I saw the cleaner dusting my laptop. “.. that was very strange and it was the first time that he had done that. When I called the cleaner on his mobile and asked him if he had taken my wallet, he denied … he also told me ‘prove that I am a thief … you do not have a camera’. Later in the afternoon, someone found my wallet thrown at a nearby place and handed it over to the management of the building where I work. It was empty when I opened it,” the woman claimed. The a ruling on the case will be heard on April 30.